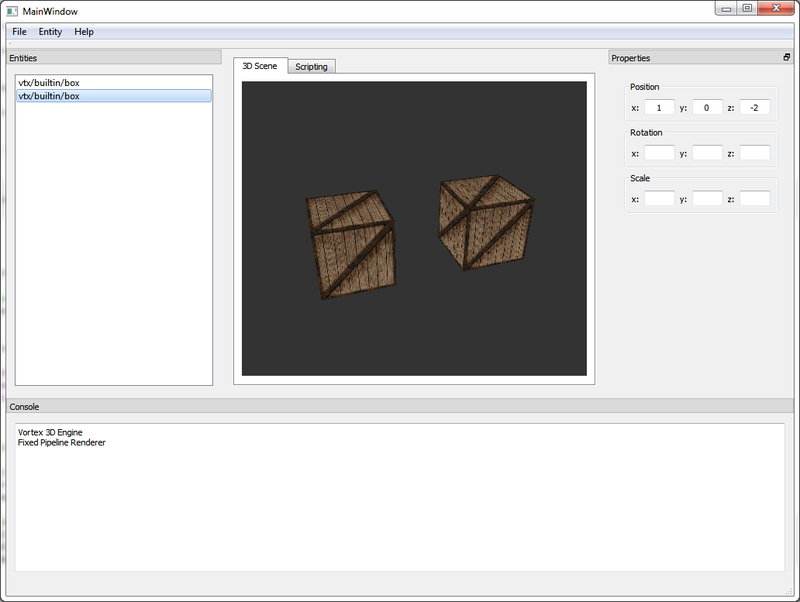 This week I finished implementing the Transform Panel of the properties view. This is a huge step towards providing a WYSIWYG interface to the Vortex Engine! The now-complete properties panel. Notice how rotation and scale are now correctly displayed. This work encompassed being able to select any entity and inspect its properties, namely, its position, rotation and scale. As I described in my previous post, I reworked the way entities store their transforms in order to be able to keep properties separate, only combining them for rendering purposes. Moving entities to the new Transform construct was simpler that I had anticipated, as entities encapsulate and manage the scenegraph nodes that the Vortex renderers expect. The next step now in the Properties Panel saga is to add editing capabilities to the UI, so that modifying the values presented in the transform will alter the entities in the 3D world. The only major issue that I see here is that, as I start to add more editing capabilities to the UI, it becomes ever more pressing to start implementing the undo/redo stack. It will be necessary as the Editor becomes more powerful. The plan for this week is then: add “write” capabilities to the properties panel and start implementing the undo/redo stack. Stay tuned for more! This week, I’ve continued working on the Editor, adding Entity instancing through the UI and (simple) position editing. 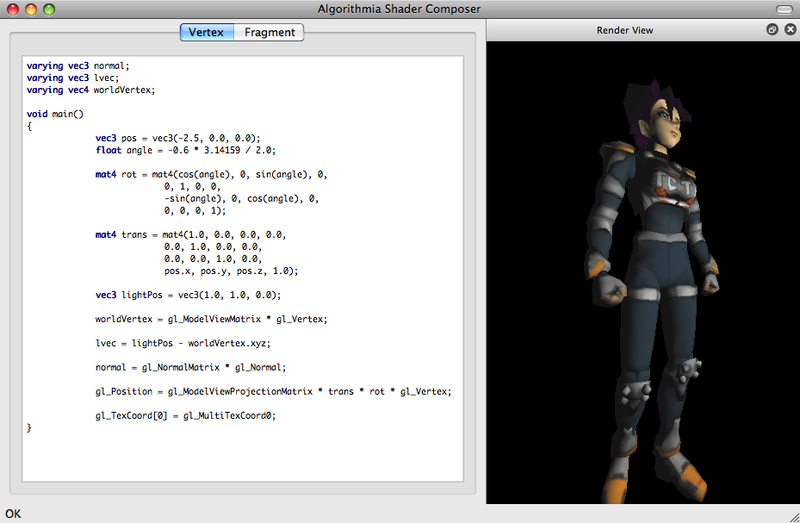 An animated gif showing very basic entity creation and positioning in the Vortex Editor. The image above features a rough preview that helps show how any number of Entities can be created now. The next steps will be to refine this to add Mouse-based selection, as well as a more comprehensive UI that allows for finer control over Entity position, rotation and scale. Once these and a few more Editor features are in, I will create a higher quality video showcasing the creation of an environment by means of Entity editing.